Packers TE Jermichael Finley will be one of 20 current and former NFL players getting a crash course on breaking into the music industry at the NFL’s second annual ‘Business of Music Boot Camp,’ slated for March 18-21 at New York University’s Clive Davis Institute of Recorded Music. The four-day workshop covers various aspects of the music industry, including production, artist development and management, digital music, publishing, marketing and touring. Participants will be given guidance on how to develop business plans and establish a career in the music industry. Faculty members at the boot camp will include Tom Calderone, president of VH1, and Darryl “DMC” McDaniels from the rap group Run-DMC, among several others. Head Coach Mike McCarthy spoke rather positively about TE Jermichael Finley in his season-ending press conference on Tuesday, praising the fifth-year tight end for finishing the 2012 season very strongly. While battling a shoulder injury early in the season, Finley’s production dipped. He started the season with seven receptions in the season opener, but through the first nine games he had 60 yards receiving in a game just once. Following the bye in Week 10, Finley reached or surpassed 60 yards in a game five times over the final seven weeks of the regular season. He had four games with at least five receptions over the final five weeks. 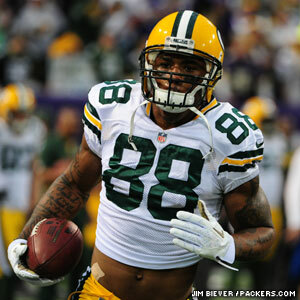 Finley finished the regular season with 61 receptions, a Packers single-season record for a tight end. He gained 667 yards and scored two TDs. He added five catches for 45 yards in the two playoff games. 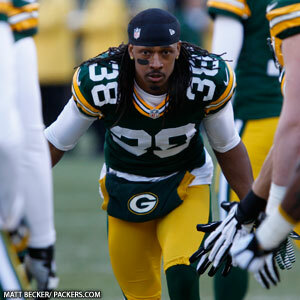 Amidst some media speculation that Finley, who has one year left on a two-year contract he signed following the 2011 season, might not be back with the Packers next season at his current price tag, McCarthy made it sound as though he has every chance to return. Though McCarthy, as he said repeatedly on Tuesday, wasn’t making any final declarations about anybody. 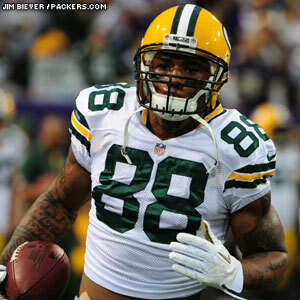 “I’ve really felt Jermichael Finley was a different man, different player from the bye week on,” McCarthy said. “I had an opportunity to talk to him about that at length in his exit interview. TE Jermichael Finley distanced himself from agent Blake Baratz’s Twitter comments on Thursday after Baratz questioned QB Aaron Rodgers’ leadership of the Packers. 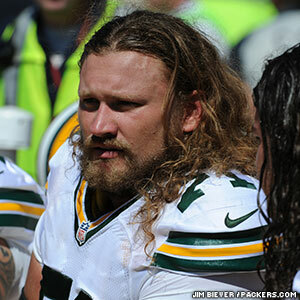 Finley added that everything is fine between him and Rodgers over the matter. Rodgers brushed everything off, likening Baratz’s disparaging comments to something a guy at the burger restaurant “Five Guys” might say about him if he thinks he’s a bad tipper. As for the rest of the team, the injury report is rather extensive, but the only significant concern may be with WR Greg Jennings (groin), who missed practice. Jennings has by no means been ruled out of Monday’s game, however. Also missing practice were TE Tom Crabtree (shoulder) and LB Jamari Lattimore (ankle). Five players were limited participants in the non-padded practice: WR Randall Cobb (hamstring), CB Davon House (shoulder), G Josh Sitton (knee), RB James Starks (toe) and DE C.J. Wilson (groin). Both LB Nick Perry (wrist) and Terrell Manning (concussion) were also listed on the injury report, but they were full participants in practice. 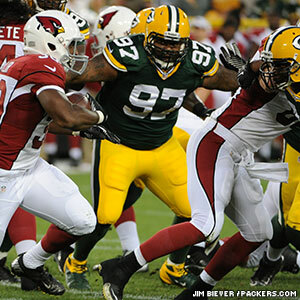 Mike McCarthy said he expects Cobb and Sitton to be fine by Monday, and he has no doubts Perry will play.